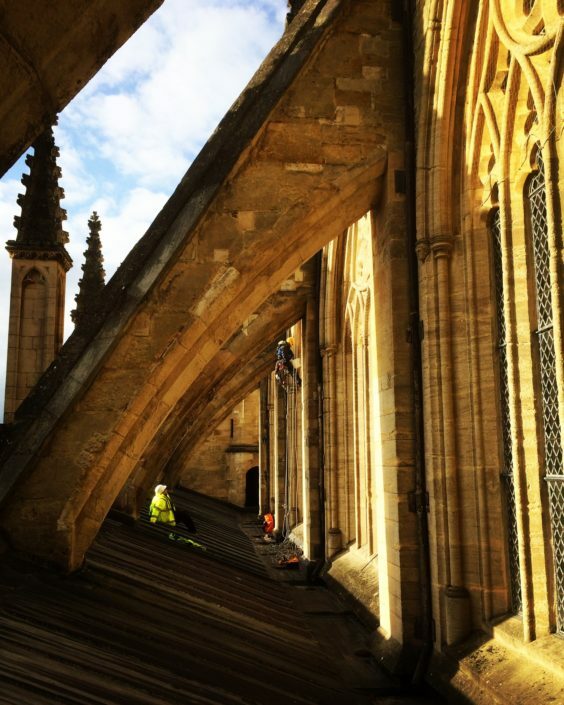 West Access Conservation repair and conserve historic and ecclesiastical buildings using rope access. Our craftsmen have over 25 years of experience in masonry, roofing, structural works & joinery. Our work can be seen throughout the many churches of Devon and surrounding counties. Whilst we were originally founded using only rope access, we are now in the unique position of providing the most cost effective means of access to a project. That may be via rope access, scaffolding or a combination of the two. We also undertake many industrial projects and work within the construction industry, providing solutions to high-level access requirements. “One of the requirements of the quinquennial review is that an external examination of the church tower ( described as one of the finest in Devon) is made on a regular basis. The cost of doing this using traditional scaffolding was prohibitive, therefore on the advice of our architect, the PCC engaged the services of West Access to prepare a report. This was carried out in 2012 and was an impressive 21-page comprehensive document clearly detailing what needed to be done to preserve the tower for years to come. Acting on this report the PCC had no hesitation in inviting West Access to carry out the remedial work. This consisted of general raking out of joints and re-pointing (using lime mortar), securing split masonry, re-glazing a window, reinforcing the metal stays for some of the many pinnacles and replacing the oak water-chutes taking water from the tower roof – all from the end of a rope! Unfortunately one of the pinnacles was in such a poor state that it had to be removed though fortunately Jon and Guy managed to salvage the most intricate part for re-instatement. We now await estimates from masons to carve a new section, and when sufficient funds are to hand we will ask West Access to re-place it. “I would highly recommend West Access. They have been efficient in all they have done. The quote was matched by the final bill which was excellent. As a company, they have been available for continual updates on progress and work and have always been courteous and helpful, understanding the needs of a small, poor village church. “Fresh from engaging West Access to remount the flagpole at St James to solve a long-standing problem of rainwater ingress, St James PCC were very pleased to see the climbers back on-site to paint some rainwater downpipes around the unique octagonal structure. 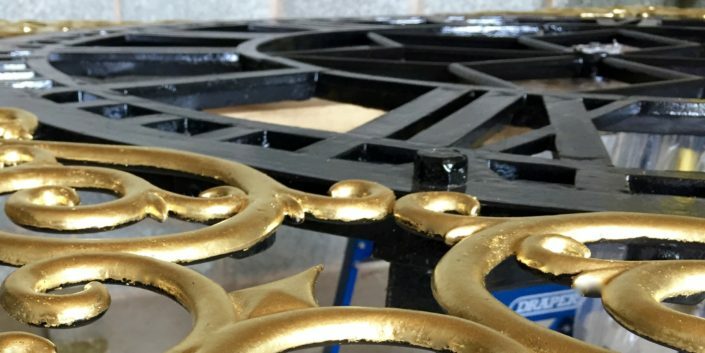 “Last year we had a problem with the bell tower gates on St Michael‘s Church West Hill. West Access were the only company of 3 that responded with an estimate for the work & the work was done on the day that was quoted & was carried out with great sensitivity to the working life of the Church & the account was as per estimate. The work was carried out in a clean & tidy manner, very pleasant work force, we would be happy to ask them to come back to quote for any other high work we were planning to have done. “St Peter’s Church, Roborough have no hesitation in recommending Guy and Jon of West Access. Our church tower needed partial repointing to one of its faces and from the time we made contact to the completion of the work we found West Access offered us a professional yet personal service.